In August 2016, rainfall in Louisiana—which totaled nearly two feet in some areas—resulted in flooding that impacted an estimated 110,000 homes with damages of $8.7 billion to residential and commercial property. While Congress will not vote on a proposed relief package until November, many Louisiana households are not planning to leave until after they know if the vote will help them recover. It is people like this Arkansas Baptist Disaster Relief ministers to. As of September 13, 169 Arkansas Disaster Relief volunteers served 28,221 meals, provided 789 showers, washed 342 loads of laundry, and completed 199 assessments, 24 mold remediation projects, and 24 flood recovery jobs. But behind everything they do, Disaster Relief volunteers serve for one reason: to share the love of Jesus. Arkansas Disaster Relief made 537 chaplaincy contacts, 373 ministry contacts, 70 Gospel presentations and distributed 71 Bibles and 89 tracts as of September 13. But even more exciting are the 17 souls who professed their new faith in Christ. The Disaster Relief team at the ABSC has witnessed firsthand the love and sacrifice of Arkansas Baptists who are willing to go and minister to their neighbors. Retired professionals, working adults, and even a group of college students from the University of Central Arkansas’ Baptist Collegiate Ministry (BCM) responded to Louisiana flooding. After the flood, Arkansas Baptist Disaster Relief worked alongside the Louisiana Baptist State Convention and 26 other Baptist conventions. During the month of August and into September, Arkansas Disaster Relief was responsible for unified command over seven zones in Louisiana. 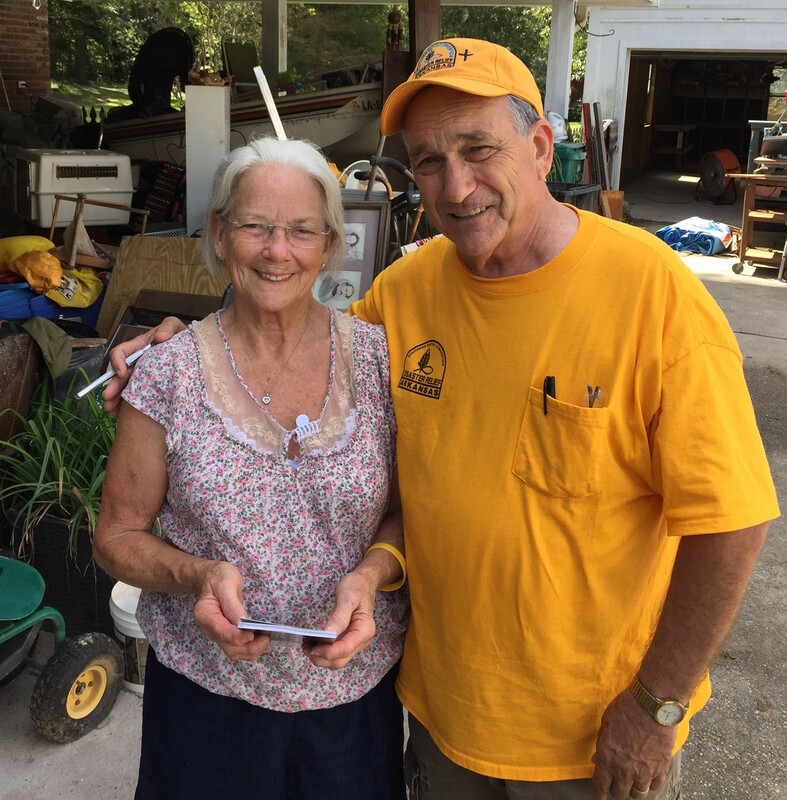 Randy and Michelle have seen God’s hand in preparing Arkansas Disaster Relief for this unforeseen task. Several years ago, Randy was serving in Shawnee, Okla., after tornadoes tore through the area. 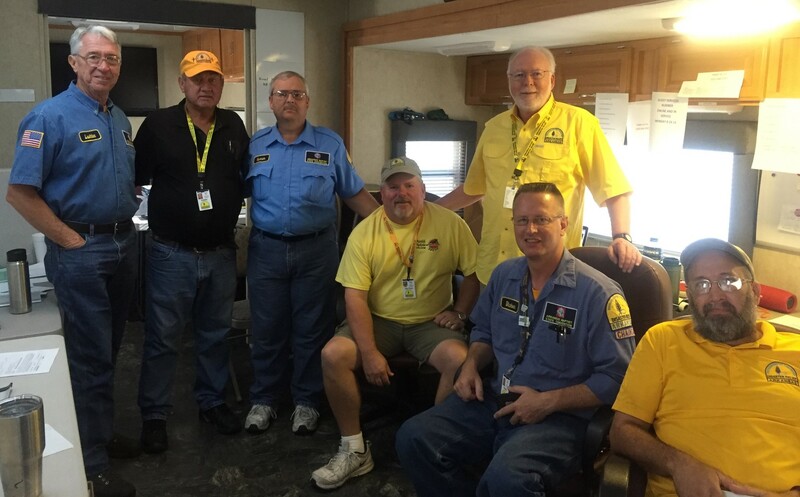 He noticed that each time Oklahoma Baptist Disaster Relief assessment teams went to a home they had a chaplain talking with the family as the assessors worked. When Randy began working as Director of Arkansas Disaster Relief in January of 2015, he wanted more volunteers trained as chaplains. He talked with other Baptist conventions, including Texas Baptist Men, about ways to build the Disaster Relief chaplaincy program. A chaplaincy coordinator for Texas Baptist Men came to Arkansas and conducted two trainings for more than 60 Arkansas Disaster Relief chaplains. One of those trainings was in August—the very weekend that Louisiana flooded. Randy also had a vision for more volunteers to be trained in incident management. After nearly 40 volunteers went through training they responded to flooding in Texas and Arkansas, giving them the chance to get their feet wet before Louisiana. Randy and Michelle are convinced it was the Lord orchestrating the planning and preparation that allowed Arkansas Disaster Relief to respond to the Louisiana floods in such unprecedented ways. Arkansas Disaster Relief gave more Gospel presentations and witnessed more professions of faith in Louisiana than any other response this year. Overall, Southern Baptist Disaster Relief gave 1,245 Gospel presentations and saw 154 professions of faith.